You could drive around the state looking for brown signs indicating scenic areas and parks, or you could check out some of this info I’ve gathered here for you. I’ve spent an awful lot of time seeking out some of the best (in my opinion) places for exploring nature in Florida. This is not a list of every specific place to explore, but a list of ways for you to find those places for yourself and go explore. There are a lot of great resources available for finding things to do. It’s not always easy to find those resources though. This is a list of some of my favorites. I hope you’ll find this compilation helpful. 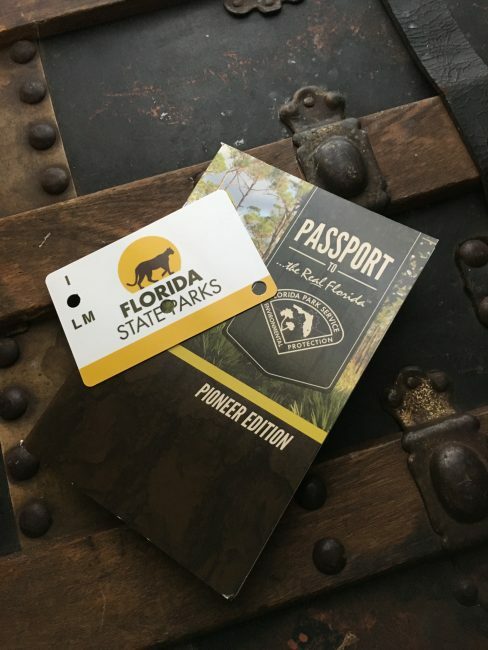 The Florida State Parks annual family pass, combined with the Real Florida passport will provide a year of awesome adventures! There are 175 state parks in Florida. There are 191 if you count state trailheads and preserves. If you visited nothing but the state parks, you would be very busy for an awfully long time! The Florida state parks web site is full of useful information! Some of our state parks are just phenomenal! 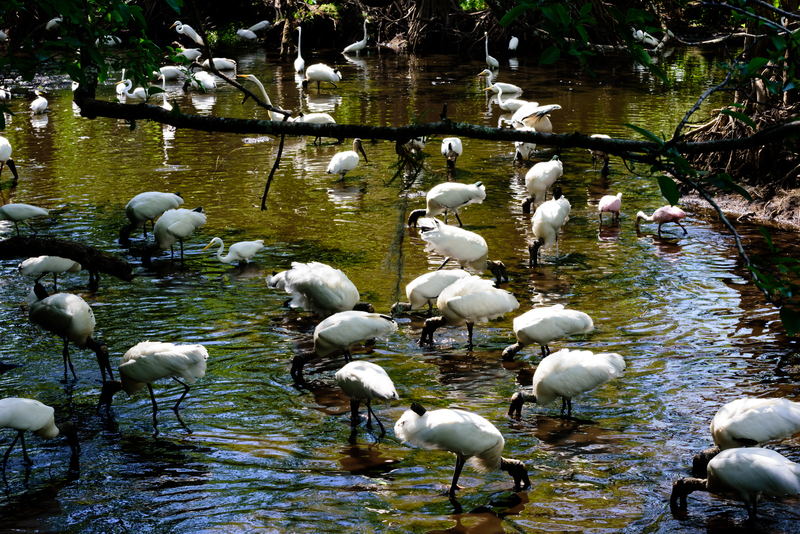 The Great Florida Birding and Wildlife Trail consists of 510 wonderful wildlife viewing areas around Florida. This website is really helpful because you can search a map and find areas in your region. You can also use the “search nearby” feature to see what’s close to you at any given time. 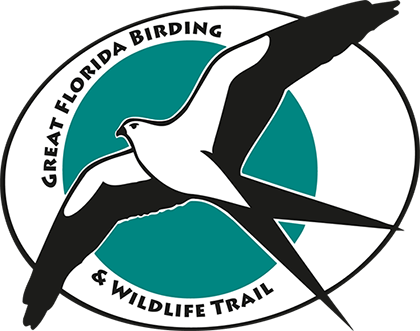 The GFBWT is one of the Florida Fish and Wildlife Conservation Commission’s programs, and it’s supported in part by the Florida Department of Transportation and the Fish and Wildlife Foundation of Florida. Keep an eye out for this sign. I’m sure you’ve seen it before. You may not be aware of it, but the state’s various water management districts oversee a whole lot of wonderful natural lands! From the Southwest Florida Water Management District’s website, explaining why they purchase land: “The region’s lands and waters are forever linked by Florida’s natural water cycles. Therefore, one of the main ways the District carries out its mission of balancing water needs and protecting the environment is by obtaining conservation lands around lakes, rivers, wetlands and estuaries. These lands serve as a natural buffer that filters out pollution from runoff before it reaches the nearest body of water. The District also buys lands to preserve and restore native Florida ecosystems that provide water resources benefits and water storage during hurricanes and other major storm events. The District’s acquisition program has primarily been funded through state programs such as Save Our Rivers, Preservation 2000 and Florida Forever.” Their website lists all of their sixty-nine areas that are available to you for recreation. organized by activity such as camping, birding, or hiking. Do you ebird?? That’s a whole other topic for a whole other post that I’ll hopefully write about soon. In the meantime, check out the “explore” feature on ebird.org for an interactive map that highlights all of the birding hotspots around the world. You can zoom in to your area and see what’s available around you. The hotspots are color-coded to indicate the density of bird varieties for a given area. This is just one reason ebird is an awesome resource for birders! We have eleven national parks in Florida, with the Everglades being the largest with some 1.5 million acres! As I continue to add pages for each site I visit, I’ll share some of my favorite, lesser-known cool spots to check out in the Everglades. But there are ten other amazing national parks for you to check out in addition to the Everglades. They just happen to be my favorite, along with Big Cypress. Polk County’s Environmental Lands Program offers eleven great sites for you to explore, but of these, one stands out. That’s Circle B Bar Reserve. I wasn’t going to include individual sites in this list, but this one is a can’t-miss location! More details when I get to that post at a later date, but for now, check out their website and go visit if you get a chance! The Florida National Scenic Trail is about 1300 miles long. It runs from the Gulf Islands National Seashore in the North and Big Cypress National Preserve in the South. People enjoy the challenge of hiking the entire trail, either in sections over time, or all at once. The trail is managed by The USDA Forest Service. I would love to complete the entire trail at some point, but that too is another post for another day! There are a whole lot of other local city and county parks I could list here, but I think this list should be enough to keep you busy for awhile! I hope this list helps you find some new places to explore! Just found this one. Preserves in Collier county. I’ll continue adding places as I find them.